I’m reviewing the Covergirl Voxbox today! I was sent the box by Influenster, and it came with the brand new Covergirl The Super Sizer Mascara and the Intensify Me! Liquid Liner in Intense Black. The first pic here is just the eyeliner, with bare lashes. It’s a felt tip paddle shaped liner, you can tip it on it’s side for thin lines, or use the flat end for thicker lines. It’s one of the better felt tip liners I’ve tried, but it still tugged at my lid a bit while I was using it, it didn’t hurt, just felt a bit strange. This isn’t a water proof liner, and it did smudge up on me throughout the day, but I’m pretty rough on my liners since my eyes like to tear up. It has a nice opacity to it, I didn’t have to go over any spots twice. 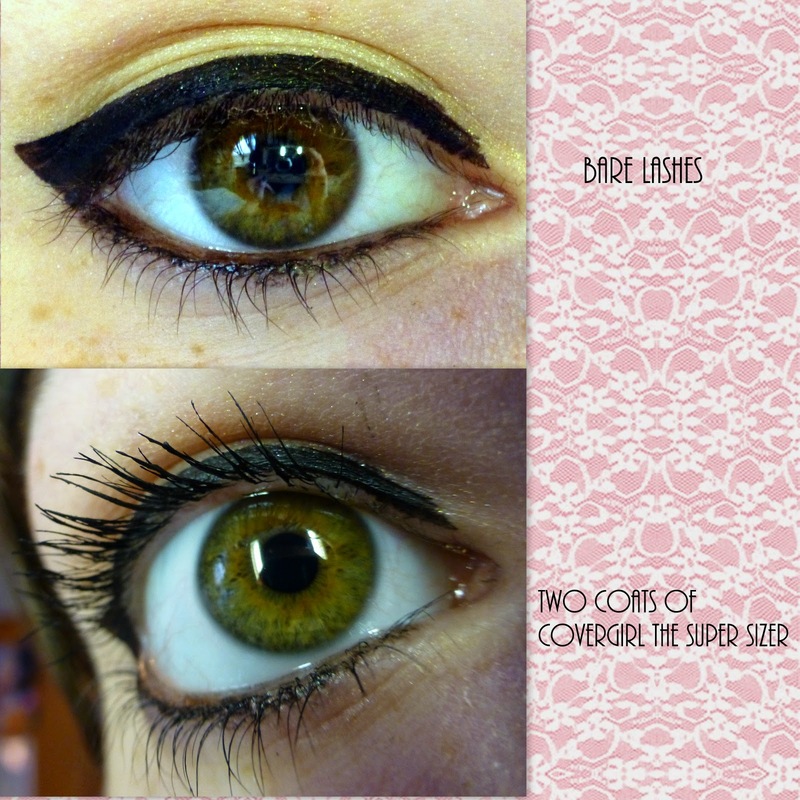 The second pic is with two coats of The Super Sizer mascara in Very Black. It has a plastic tapered wand, and the instructions advise you to twirl the wand as you apply the mascara to get maximum length. It didn’t really give me any volume, but I got some pretty nice length with it, and it didn’t clump. I hate the spidery lash look, so it passed that test! This is a semi-wet mascara, and it dried pretty fast, with no flaking or fallout throughout the day. So overall I’d recommend The Super Sizer mascara, and you’re probably better off skipping the liner. I’ll always pick a brush liner over felt tips.